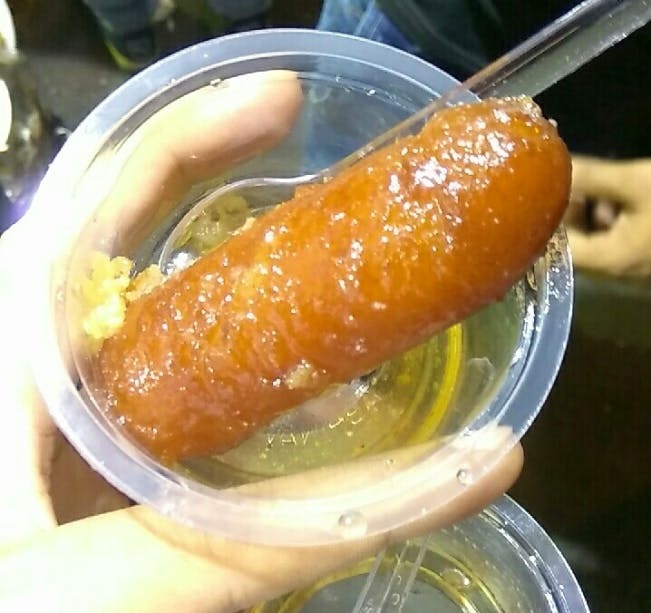 Suleman Usman Mithaiwala's Gulab Jamun and Firni are just awesome. This is what I had, but there are more than a dozen other sweet varieties which one can try. Also, the service was prompt even when the shop was crowded with people, that certainly was something nice. While, the experience was good, better than what I had anticipated from my visit last year. But this place always gets a little too busy late in the night, so management needs to be much better. I would suggest you go during weekdays if you can't tolerate crowded places, as it wouldn't be too crowded. Weekends remain crowded right from 7:30pm to 4:15am. Also, they sell a wide range of sweets available here and you're in for a sure delight If you have a sweet tooth. The quality of products is indeed great, as the spot has stepped up their game on the hygiene aspect, which is nice as this place attracts foodies from different cultures. The sweets here are a must-try if you visit Mohammed Ali Road, and I highly recommend it. Also, this outlet is situated on the main road, so it won't really be much of a problem in locating it.